Long after we gave up on the idea of ever photographing a ghost, E.V.P., (electronic voice phenomena) kept our interest and still does. Are they voices of the dead or our consciousness somehow speaking? Maybe other lifeforms entirely? Could it be all of the above? We talk about all things EVP/ITC on this episode. 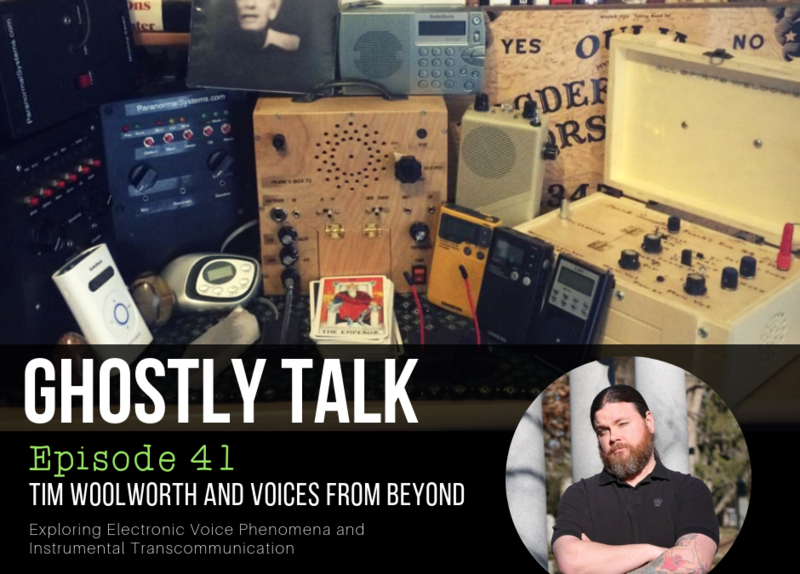 As one of the world’s foremost ghost box users, Tim Woolworth has been featured using his ghost boxes on NBC’s First Look, NPR, the Detroit NBC News, dozens of radio broadcasts and the television show CNY Spirits. In addition to media appearances, Tim regularly gives public ghost box talks and sessions at conferences, historical locations, and libraries. Tim has authored most of the accepted ghost box theory used today by active ghost box researchers via his site ITCvoices.org which has been online since the spring of 2010. He also orchestrated the first world-wide ghost box experiment called the Ghost Box Collective that garnered astounding results. In 2018, Tim launched Paranormal Study, a site dedicated to teaching paranormal topics through lectures and articles. Download here, stream below or listen on your favorite podcast app. Ghostly Talk © 2002-2019 | All Rights Reserved.